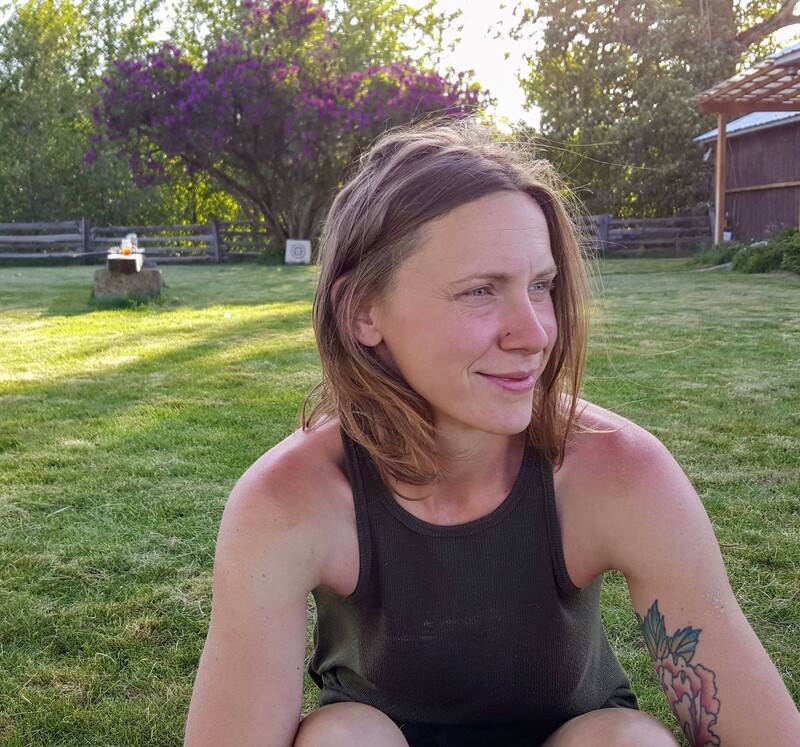 Lindsey Briggs settled in Wallowa County in 2015, drawn to the rural life, landscape and rich sense of community it offers. She came from New Orleans, where she worked in farm-to-table restaurants for many years before becoming an operations lead for Good Eggs, a start-up that connects farmers and consumers directly. It was in that role that Lindsey discovered that farming was her future and dedicated herself completely to learning about working the land—and raising hens! Today, Lindsey cares for the ladies who lay about half of the dozens of delicious eggs we source for Carman Ranch Direct customers. (The rest come from the hens at Carman Ranch.) Lindsey's brood of 100+ hens were purchased as tiny chicks, from Murray McMurray Hatchery, representing a variety of breeds: Araucana, Red Sexlink (Lindsey’s favorite), Delaware, Welsummer, Polish-crested (the source of the occasional white egg you’ll find in your carton), Black Australorp, Wyandotte and several others. Now a couple of years in, the brood has grown to include chicks hatched by those hens. The birds forage freely on 30 acres of pasture and play in a stream that comes off Bear Creek in Wallowa, OR. Their supplemental feed is milled in Wallowa County from non-GMO ingredients that are sourced locally and regionally. Lindsey also collects and ferments the spent grain from local brewery Terminal Gravity, which the girls enjoy as a morning treat. Small thanks, says Lindsey, for the joy they bring to her daily life.